Men will enjoy a smooth and clean shave with this soothing shaving cream. Carrot Seed Extract helps soothe skin to reduce razor burn while the Aloe Butter provides moisture to skin. Hemp Seed Oil quickly penetrates the skin providing lasting moisture and Bentonite Clay provides added slip and glide to your razor. Fathers and husbands will love the masculine blend of bergamot, fresh juniper and earthy patchouli in this lathering shaving cream. You Save $15.80 by purchasing this kit rather than buying the items separately. COMMENTS: Even with following the directions exactly ,the shave cream came out thinner than I like . What a mess it makes . Not worth the trouble and especially the clean up. The properties of the shave cream were fair enough , but I just didn't think it was good enough to justify the kitchen mess it makes. COMMENTS: Still testing this one out but very easy to make. COMMENTS: This shaving cream is wonderful. Its definitely a high quality product. So many people have requested that I make more. 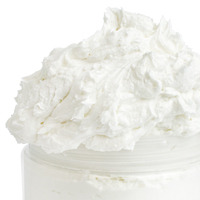 COMMENTS: I have had customers request I make a more natural Shaving Cream. I had tried several recipes I had found on line without success. So when I saw this kit, I had to try it. I am so glad I did. It gives you a great slick for shaing and leaves your skin baby soft. My customers absolutely love it....I've had to make it more than once. COMMENTS: This kit makes a really great shaving cream and was a big hit with my customers. I will buy again! "How do I get mine too look as fluffy as your looks in the picture? " Staff Answer Try whipping the product more. If you have a stand mixer, this works well and is much easier on the arms. Also, try adding a little more oil to keep the product soft. "the "what's included in this kit" list says bentonite clay, but the recipe has kaolin clay listed. Which clay do you need for this recipe?" Staff Answer The recipe contains bentonite clay. We have updated the recipe to match the kit. Thank you for bringing this to our attention. "Hi, I bought this kit and made it but when I was filling the jars I had way too much leftover. Did I whip this too much maybe? thanks"
Staff Answer If you followed the recipe exactly, then it does sound like it was whipped too much. But, it is always better to have more product then not enough. Hopefully, you had extra jars available for the leftover product. "Can you use a carrier oil other than hemp oil for this recipe? I was interested in using jojoba or fractionated coconut oil instead." Staff Answer Yes, either of those oils can be substituted for the hemp. "I bought the ingredients for this recipe and was told by a man friend that he loves how his face feels after using it. But he said that it foams up way too much when using a brush to apply. Is there a way to make is foam less?" Staff Answer You might try adding more kaolin clay and more oil or butter to cut down on some of the lather. "Is this ok to make without using the carrot seed extract?" Staff Answer It can be made with the Carrot Seed Extract but this does add nice properties to the product. You can use another extract or hydrosol if available. "I made a similar recipe before but with bentonite clay and my husband didn't like how the clay gave the cream a grainy texture. Do you know if this is the case with the kaolin clay? " Staff Answer We have not found that the kaolin clay makes this product grainy. It is a smooth shaving cream. 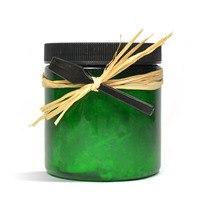 "I am interested in this item however I do not want to make more than 1 jar my first time out. Is there an abbreviated version of the recipe kit I can download so I make only one jar. " Staff Answer Hi William, no, we do not have an abbreviated version of this kit, but you are welcome to buy the ingredients separetly. "Can you tell me if this product lathers up when applied? I have made this substituting other ingredients due to items being out of stock. My husband used my product and said it would be nice if it lathered up I was wondering if I followed the recipe to the T if I would get the results he if after? I used coconut oil in my recipe. Thanks "
Staff Answer This recipe does not foam or lather up much at all. We chose the additives in this recipe to provide a smooth, slick shaving experience that leaves the skin moisturized afterwards. 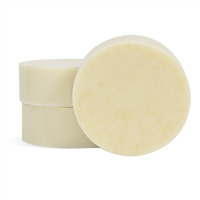 To produce a decent lather you would need to add more surfactants which would result in a more drying product that would defeat the purpose the other additives. "Instead of jars how would this work in the 3.5 oz Natural Airless Pump, Bottle & Top Set"
Staff Answer While we have not tested this recipe in the airless pump containers we did have success using the 5 oz. Airless Pumps with the Cotton Candy Shaving Cream recipe. This recipe has similar properties and in theory should work fine. We recommend testing your product in one bottle before filling all of them. "If I swapped out the FO for something I have on hand (Exotic coconut: vanilla content 4.3%) , how would I recalculate the formula to use a stabilizer? " At that percentage, FO to vanilla color stabilizer should be used at a ration of 2:1. When vanillan content goes above 10%, they should be used in equal portions. "I bought this kit and asked a male friend to test it prior to selling. He complained that the cream is too thick, and he is not able to shave on his face. Is this Shaving Cream for men or women?" Staff Answer This shaving cream can be used for men or women. 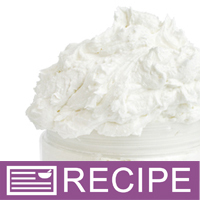 If you notice the cream is thick, try rubbing it between your hands before applying it. This will help to soften the cream and make it spread more easily spreadable. "Is the recipe to this going to be posted? I would like to make it without buying the kit so I can customize it. "